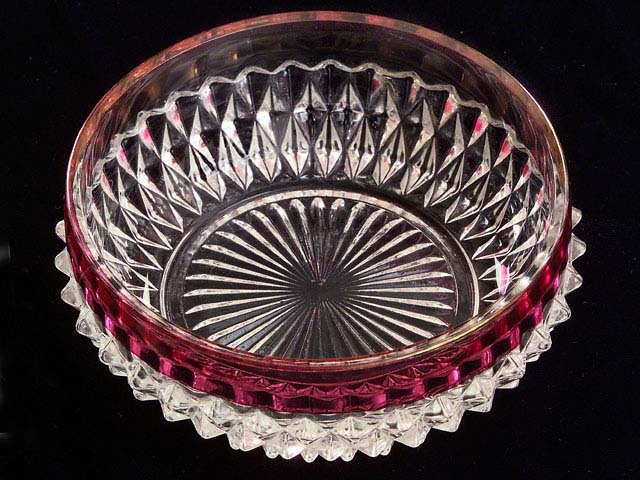 Three ruby rimmed serving or candy bowls 5" in diameter x 1 7/8" tall decorated with a dual row of diamonds and a flower or star on the bottom. ..... $ SORRY!!! SOLD!